Apparently you can buy happiness. Tea is not a drink its an Event. 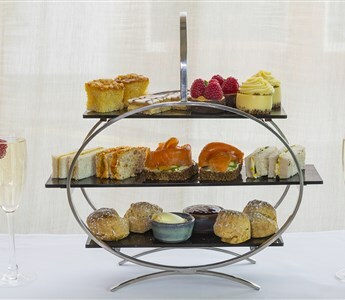 We know our regular guests love to come in to the Morrison all dressed up, sit back, soak up the atmosphere and enjoy Afternoon Tea in our luxurious setting overlooking the River Liffey. 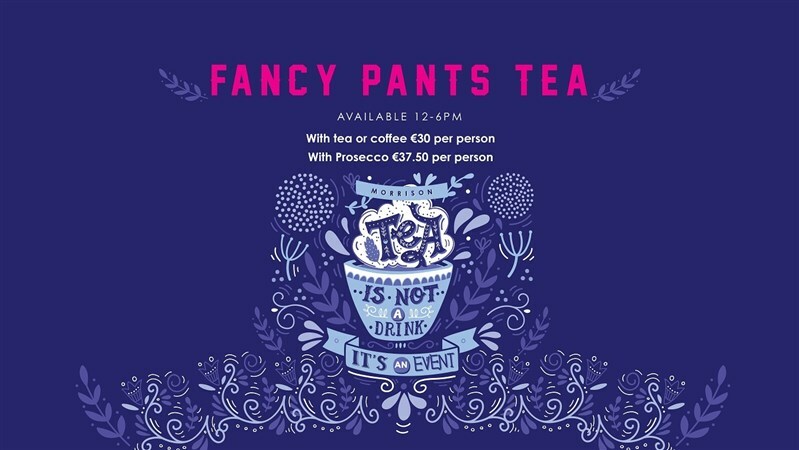 Our Guests like to relax, people watch and catch up with good friends while enjoying the Fancy Pants Tea. This new offering is now priced from €30 with tea or coffee or €37.50 with Prosecco. For groups of 10-19 people, a credit card number is taken at the time of booking. This will not be charged at this point, but is used as a guarantee. Please note that final numbers need to be confirmed to the hotel 48 hours prior to arrival and in the case of a no-show or if the confirmed numbers do not materialise, a €20.00 per person no-show fee will be charged. For groups of 20 or more, a credit card number is required at the time of booking and a 25% non-refundable deposit is taken. The balance is charged on departure. Please note that final numbers need to be confirmed to the hotel 48 hours prior to arrival, any drop in numbers after this point will be charged a €20.00 per person no-show fee.